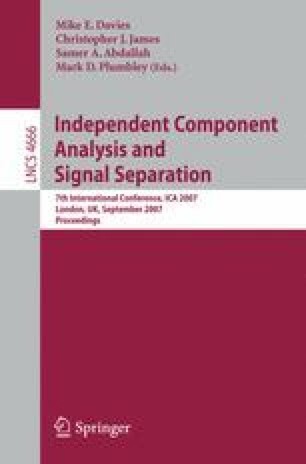 We propose the kernel-based nonlinear independent component analysis (ICA) method, which consists of two separate steps. First, we map the data to a high-dimensional feature space and perform dimension reduction to extract the effective subspace, which was achieved by kernel principal component analysis (PCA) and can be considered as a pre-processing step. Second, we need to adjust a linear transformation in this subspace to make the outputs as statistically independent as possible. In this way, nonlinear ICA, a complex nonlinear problem, is decomposed into two relatively standard procedures. Moreover, to overcome the ill-posedness in nonlinear ICA solutions, we utilize the minimal nonlinear distortion (MND) principle for regularization, in addition to the smoothness regularizer. The MND principle states that we would prefer the nonlinear ICA solution with the mixing system of minimal nonlinear distortion, since in practice the nonlinearity in the data generation procedure is usually not very strong.